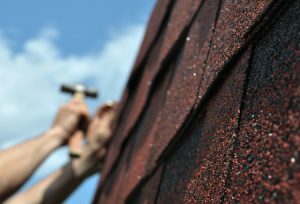 Does your roof need to have repairs made to it right now? As luck would have it, the fall is actually the best time of year to have roof repairs done. There are several reasons why you should consider repairing your roof this fall. Check them out below. There usually aren’t many severe storms in the fall. The last thing you want to do is repair your roof at a time when there’s a chance of severe storms. It’s why it’s best to avoid doing roof repairs in the middle of the summer or winter. The fall is ideal for making roof repairs because there’s almost no chance of bad storms in the forecast. The fall will also give you an opportunity to inspect any damage that may have been done to your roof during the previous winter and summer seasons. You can fix that damage up in the fall and have your home ready for the winter. The fall typically provides the perfect conditions for roof repairs. Most roofing experts will tell you that you should have your roof repaired when it’s around 50 degrees Fahrenheit. While the temperatures are sometimes higher or lower than that in the fall, they’ll usually fall somewhere in that range. This will allow roofers to make good use of their roofing materials and provide you with the proper seals on your roof. It’ll also be comfortable for your roofers while working, which will result in them being able to do their best on the job. You’ll be able to save on your heating bills this winter. Making roof repairs in the fall will provide you with immediate benefits. Outside of ensuring your roof is ready to go when the snow starts to fall this winter, your roof repairs will also cut down your heating bills in the wintertime. You’ll see an immediate return on your investment when you do roof repairs in the fall. If you want to make repairs to your roof this fall, Roofing By Bruce can help you take care of them. Call us at 570-424-8891 today to schedule roof repair for your home.